Last night I made a healthy dinner. It was a turkey meatloaf filled with vegetables. My husband has requested I start cooking a few healthier dinners and desserts. WHAT? What? So, I think this counts. I don’t even know. But phyllo can’t be unhealthy, it melts in your mouth. It’s like a communion wafer only tastier. And nobody I know counts communion wafers into their daily caloric intake numbers. Right? So, it’s healthy. Here’s what I did wrong though. The recipe called for 2 oz of chocolate. As in, 2 oz for the WHOLE recipe. Wow, certainly they didn’t mean that. Error right? So I doubled it. Maybe tripled it actually. As you can see, it was too much. The chocolate was oozing out. Which normally I admit is a good thing. But if you’re going for the whole “healthy dessert”, it may be a bit overboard. Honestly, it totally would have worked with less chocolate. Trust me. Also, be sure you thaw your phyllo dough COMPLETELY before unrolling it. Mine cracked. Lesson learned. If it does get dry, lay a lightly dampened paper towel over the roll. It helped. I learned the hard way. As for the whipped cream, okay, that’s not healthy. But I had to add something rich into this, right? You can use the stuff from a can though if you are lazy, I mean if you are watching your calories. I won’t judge. Honest. I’ve totally cheated before too! Allow phyllo dough to thaw completely before using. Lay 4 sheets out lengthwise and spray with cooking spray. Top two of the sheets on top of eachother. Cut in half from top to bottom so you will end up with 4 rectangles total. Sprinkle chocolate on bottom edge of each rectangle. 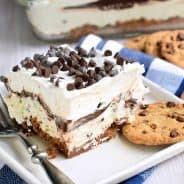 I used Ghirardelli bittersweet morsels and I put 7 morsels on each piece. Next time I would use only 4. Cut a banana in half lengthwise and then in half again. Lay on top of chocolate. Sprinkle each banana with brown sugar. Fold in sides and roll up like an egg roll. Spray again and sprinkle with cinnamon. Place each eggroll on a parchment lined baking sheet. Bake in a 350 degree oven for 12 minutes. Cool 10 minutes. While cooling, beat cream, brown sugar and a pinch of cinnamon in mixer for about 4-5 minutes until peaks form. 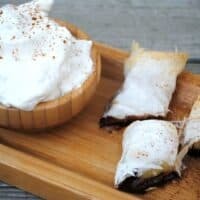 Cut each eggroll in half and serve with cream. Enjoy! I have totally made these before! But we called them banana lumpia. It’s a Filipino food that my siblings used to eat before they were adopted. Yum!! Wow. This looks so good. I cannot wait to try them. 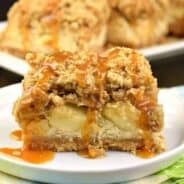 As always you have the best recipes featured on your blog. Awesome dessert. I think I’d like a little chocolate oozing out. 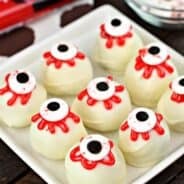 I have to admit, I like the oozing chocolate…but then again I think the more chocolate, the better:-) These look super yummy! Mmmm…looks yummy! And, I totally would have added more chocolate and whipped cream too. Thanks for sharing! Yummy! I have to give this a try! Oh-my-goodness!!! 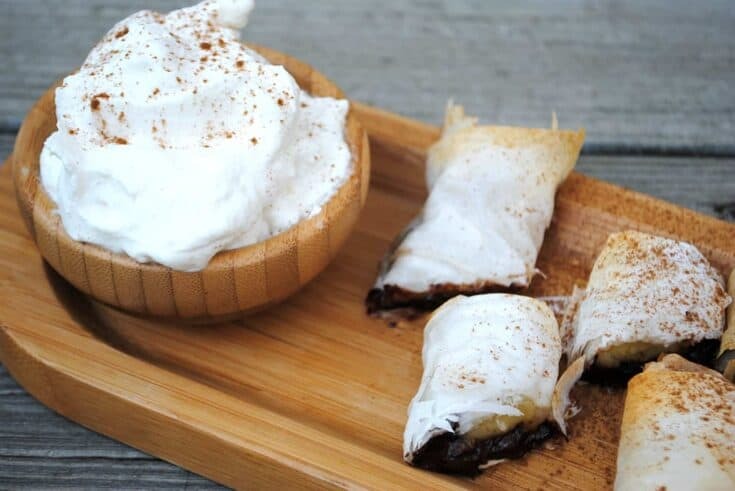 My little one would get a kick out of these…They are a great idea for a surprise dessert. You can say the Dr. Bizzy says this is healthy. That will surely help convince your husband. This goes to the head of the treats list.